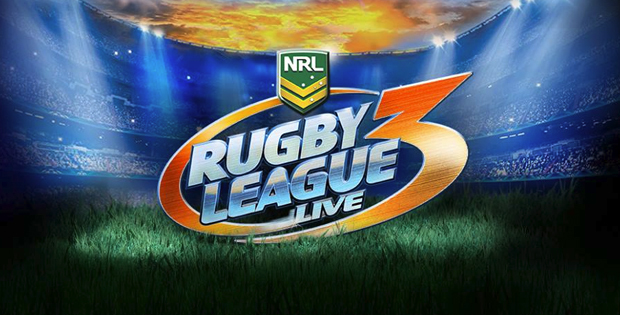 Rugby League Live 3 retails for 100 dollarydoos and heralds the debut of Rugby League as a sport on PS4 and Xbox One. It costs as much as FIFA or NBA 2K but it looks like it should be on a tablet. Or unplayable on your phone. If graphics are all you care about and you want a good looking game where large men run into one another at top speeds, get Madden 16 — they’ve even got Jarryd Hayne. But there’s more to a game than the graphics. Rugby League Live 3 isn’t a good game, but with every iteration it’s getting closer to something you might actually want to purchase. Rugby League Live: The First was a trainwreck on a grand scale — terrible gameplay, worse graphics, minimal options. It contained within it a kernel of an idea, however — a semi-competent passing system designed to give the player the ability to shift the ball across the field quickly and easily.